*Deadline to register for this painting is Sunday January 14, unless the class sells out sooner. This is the deadline for cancellation or class credit as well. 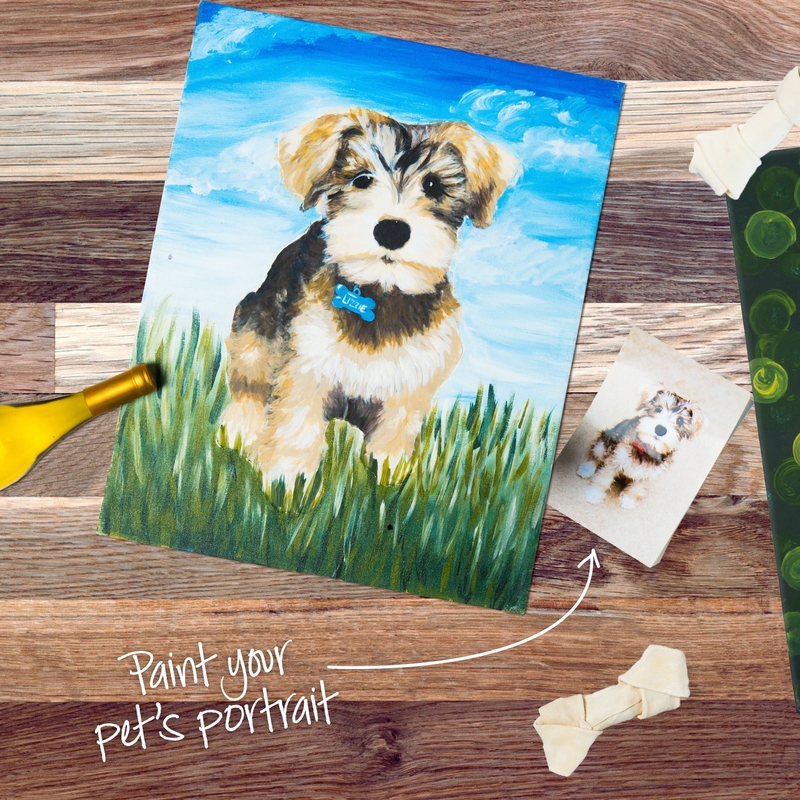 Pet Photos needed by Monday January 15- email photos to brandon@pinotspalette.com. Thank you. Due to the extra expense for Project Pet- No Discounts or complementary/donated gift certificates on Project Pet. Thank you. Your pet photo should showcase your animal and reflect unobstructed views of your pet. 300dpi works best. d) Pet is centered in the photo either FULL BODY or HEAD SHOT, with no cropped off parts. e) Our best advice is to take a photo of your pet with the best camera you have outside during the day, under a shaded area (like your front porch, back patio, or inside near a window). f) Remember, the better your photo is, the easier the painting process will be. Pinot’s Palette is the upscale leader of the paint and sip experience – a revolutionary way to enjoy art and wine, meet new people and bond with friends.